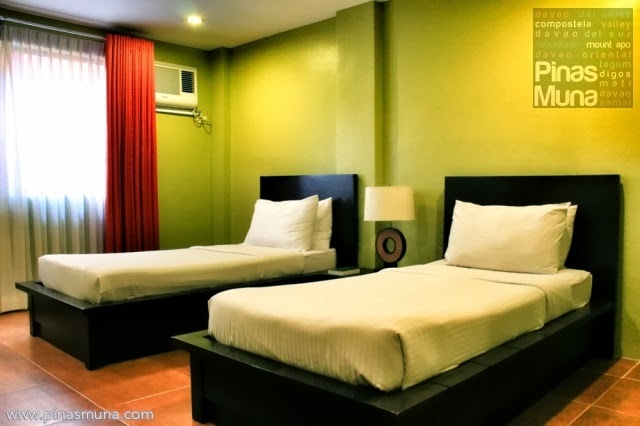 Home Crest Hotel is a value-for-money business hotel in Davao City located across SM City Davao. It is located in the Ecoland area and is very near the Davao City Overland Transport Terminal (Ecoland Bus Terminal). 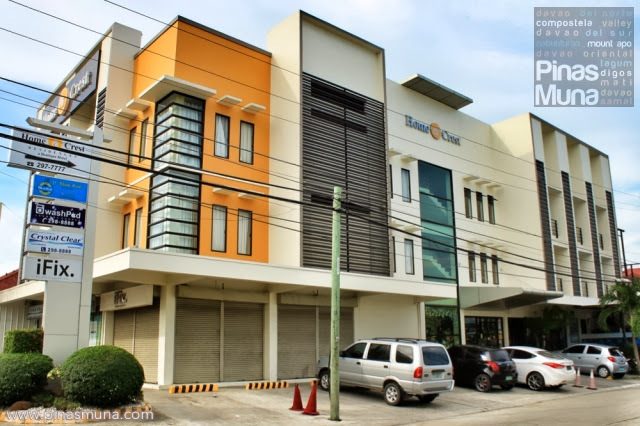 Home Crest offers high quality accommodation at very affordable rates in this side of Davao City. 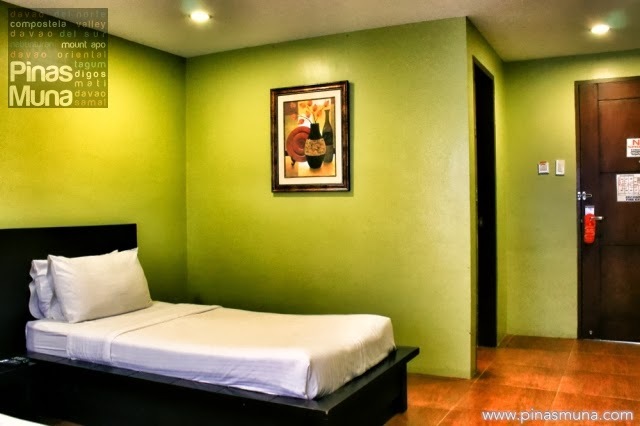 It is ideal based for business and leisure travelers in Davao City who will be commuting to neighboring cities due to its close proximity to the city's central bus terminal. The hotel rooms have a minimalist zen-inspired design which brings about a feeling of relaxation and comfort. 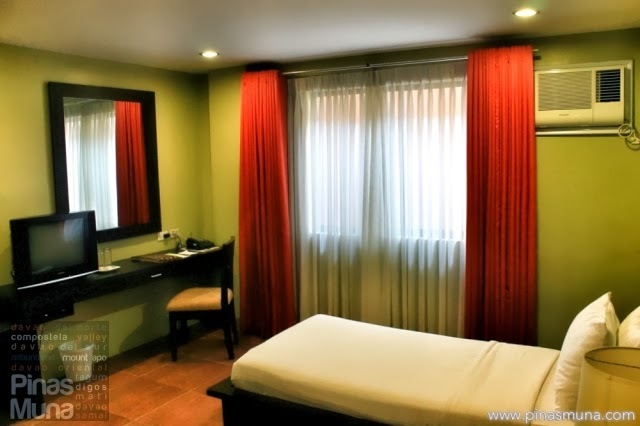 We stayed in a Standard Double Room equipped with an air-conditioning unit and a cable-ready television. We personally like the green color of the walls as they radiate a refreshing ambiance in the room, adding further to the relaxing experience. The the medium-firm mattress made the beds fairly comfortable, and so are the pillows. The linens and the pillow cases were clean and fresh. Every room has its own private bath with hot and cold shower. There's no rain shower head though but the water pressure is excellent, which what matters the most. The hotel provides clean towels that smell really fresh. 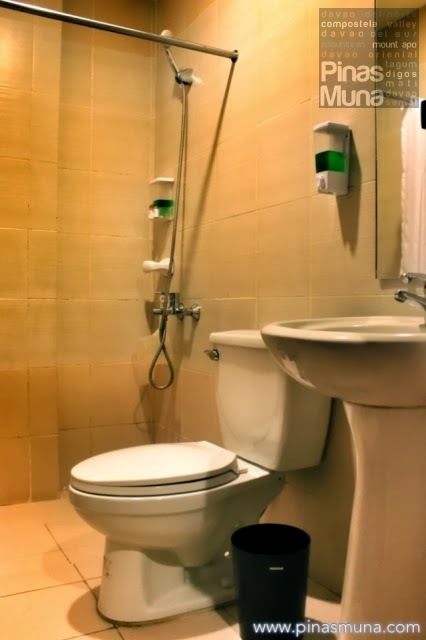 Unfortunately though, the toilet does not have a bidet installed. This is something that Home Crest can improve on. Overall, we had a pleasant stay at Home Crest. It is a good choice for travelers on budget but do not want sacrifice comfort. It is in a good location which is very accessible to public transportation. Dining establishments are just a short walk away. We will surely stay here again for future trips that require constant commute between Davao City and its neighboring towns. It's our home in Ecoland.